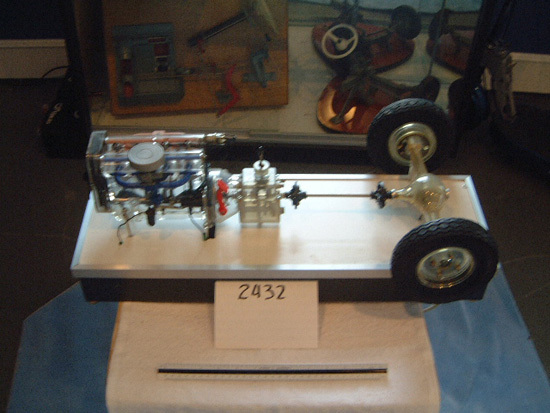 A 1950s German school model that demonstrates the motor transmission and differential as well as breaks, all clear plastic covers to show function of the automobile. It is powered by 220 volts. 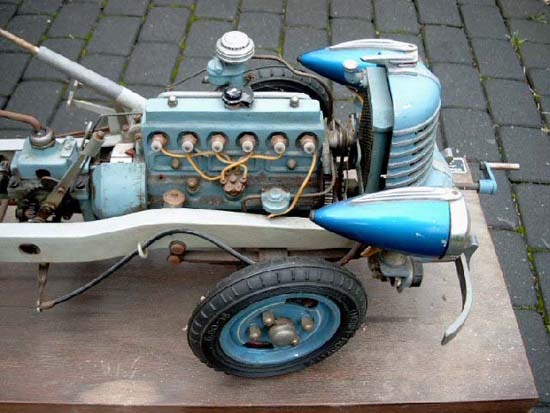 A rare blue 1930s Hohm German driving school model powered by 220 volts. 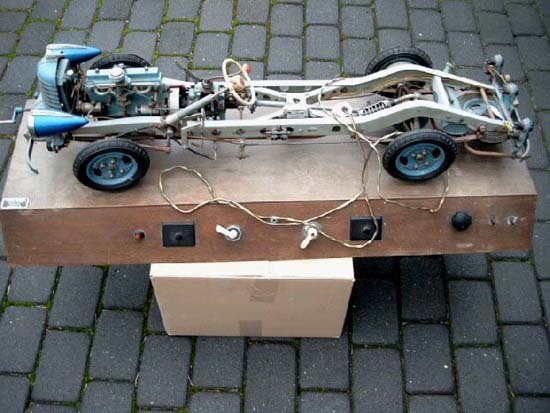 This is a rare blue 1930s Hohm German driving school model powered by 220 volts. 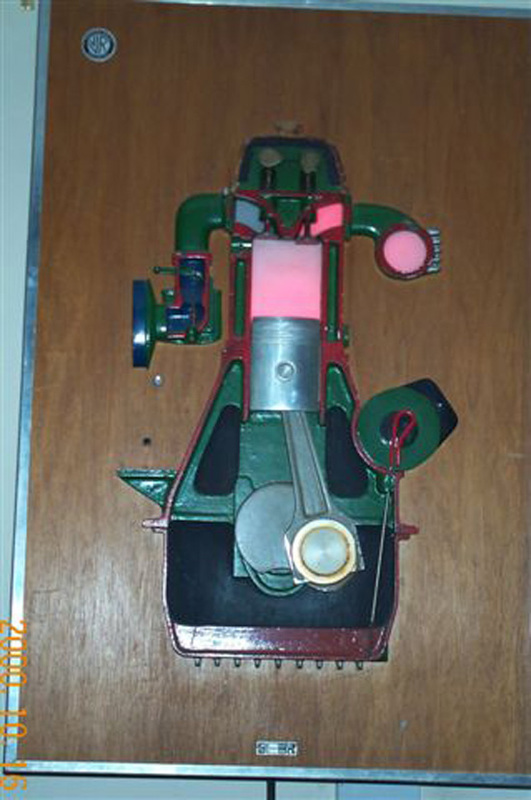 A wall-mounted 1940s German school model of a single cylinder motor that shows fuel intake exhaust as well as the crank shaft and oil dip stick. 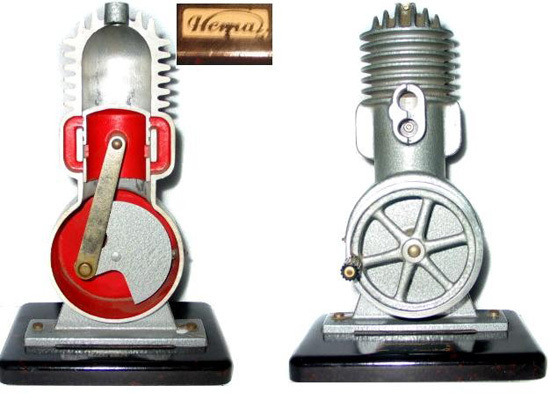 A front and back picture of an early 1940s German model of the single-cylinder motor. 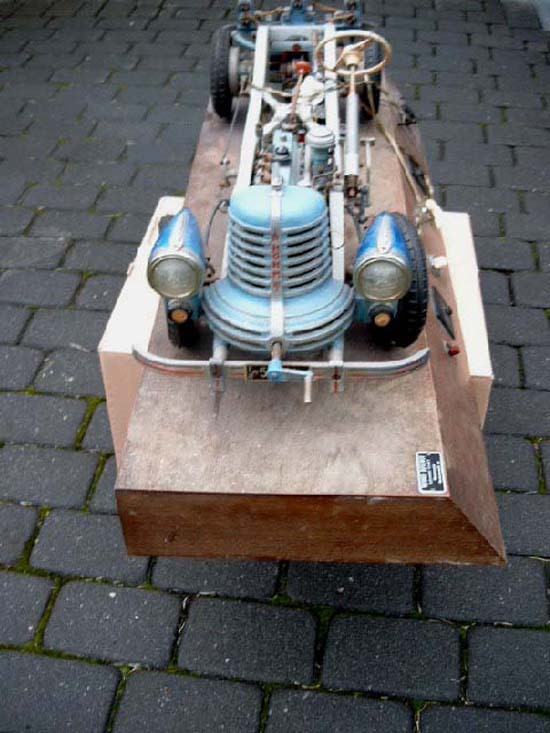 It shows by hand crank how the piston and valve timing as well as the carburetor intake and exhaust work..